The three-year deal with the British bank is believed to be worth more than £10 million and is being promoted as the largest company sponsorship in the history of UK women’s sport. The deal will also support FA Girls’ Football School Partnerships, a nationwide scheme to help develop girls’ access to football at school. Barclays has been a longstanding supporter of English football and was the title sponsor of the Premier League from 2004 to 2016. 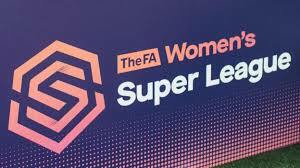 The Women’s Super League was launched in 2011 as an eight-team, semi-professional breakaway division. The league was later revamped into two professional divisions with a set of more stringent club licensing criteria to develop the professional women’s game. The saw the increase of leading men’s premier League clubs launch or invest in women’s teams. The WSL is Europe’s only full-time professional women’s league with eleven teams. The sponsorship deal is an important moment for the commercial development of English women’s football. Last month Budweiser and Lucozade became official partner of the England’s women’s team as more brands look at backing the women’s game.